When it comes to technology, upgrading is a fact of life, whether it’s your operating system, applications or hardware devices. One of the most common hardware components users want/need to upgrade is their local hard drive. Reasons include limited space, better performance, ability to take advantage of advanced features like UEFI or support for GPT disks. Upgrading to a new SSD drive, for example, can extend the life of a desktop of laptop PC for many years. I know, I’ve done it several times. The issue with upgrading, however, is dealing with the migration of your existing OS and data to the new drive. After all, who wants to rebuild the OS, figure out how to re-activate it, track down and reinstall all the apps and oh yeah, move all your personal files over. Yeah, not me! That’s why today I’m going to review an alternative process using the built-in System Image and Easeus Todo Backup to restore your installation to a larger or smaller disk. There is an alternative in system imaging and cloning. In this article, we take a look using the built-in System Image and Easeus Todo Backup to clone your drive to a larger or faster hard drive. Windows 10 includes a built-in option called System Image, which lets you create a complete replica of your installation along with partitions. We already covered the steps how to create the system image. To back up your installation, you will need a USB external hard disk to store the image. An external hard disk with lots of storage is cheap and a recommended buy; whether you plan on performing an activity such as this or keeping your system backed up regularly. There is one major problem with System Image in Windows 10 and earlier versions of Windows; it doesn’t support restoring to partition layouts that are smaller in size than the drive it’s replacing. For instance, if you go from a 500 GB hard disk to a 256 GB SSD when you attempt to restore the system image created from the 500 GB disk, you will receive an error indicating the disk is too small. If this is the case for you, then system imaging is of no use; instead, you should consider cloning, detailed further in this article. After creating your backup, shut down the computer, install your hard disk or SSD drive, start the computer then load your BIOS or UEFI firmware. Check to make sure the drive is detected. After confirming these changes, connect your external hard disk then power on the device. Boot from your Windows 10 install media, which will be used to facilitate the restoration of your system image created earlier. When you arrive at the Install Now screen, click the Repair computer link; this will load the Recovery Environment. Click Troubleshoot, then click System Image Recovery menu. 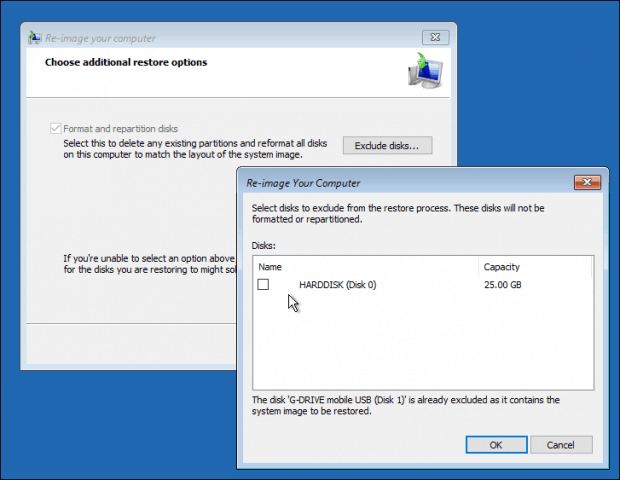 Your external hard disk should be detected along with the most recent system image you created. If it’s not the right one, use Select a system image radio box, select the right image then click Next. If you have more than one local disk or partition, you can exclude it from the restoration process. After confirming your selections, click Next to begin the restoration, then wait. Restoration can take some time depending on the size of the system image. 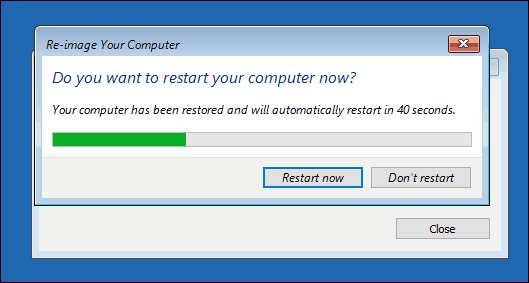 When complete, Windows 10 will restart then boot to the Windows 10 desktop. 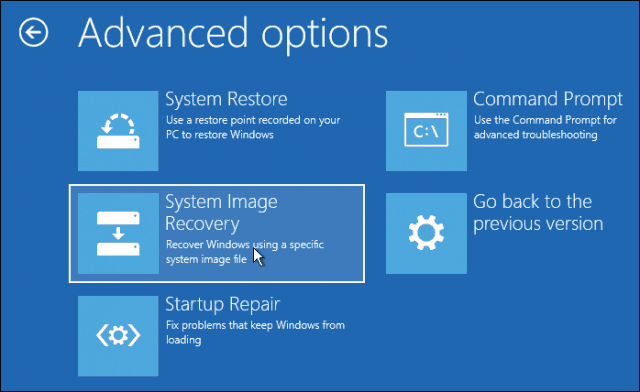 There is a possibility if you restored the system image to larger disks, you will need to reconfigure your partitions if you restored the image to a larger hard disk or SSD. In Windows 10, press Windows key + X, click Disk Management, there you will see some unallocated space has been created. You can recover this space using the Extend volume wizard. Right click the system partition, then click Extend, click Next then click Finish. If you are going the opposite direction, which is restoring to a smaller hard disk or SSD, cloning will be the recommended option. The best solution I have found for cloning and restoring a Windows 10 installation, is the free EaseUs Todo Backup. 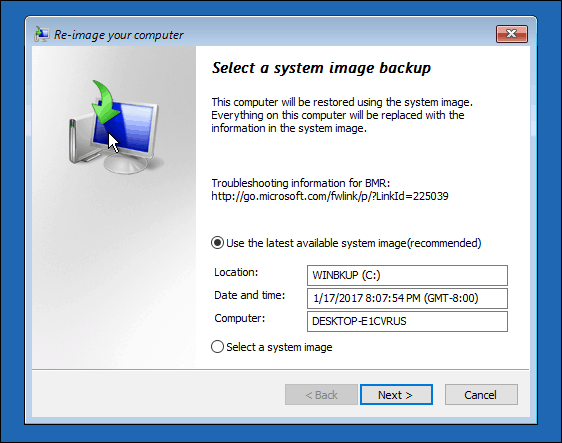 EaseUs Todo Backup can not only restore a backup of your Windows 10 installation, but it can also do so to a non-corresponding partition layout. You can download a free copy here. Once you have EaseUS Todo Backup installed, launch the app. 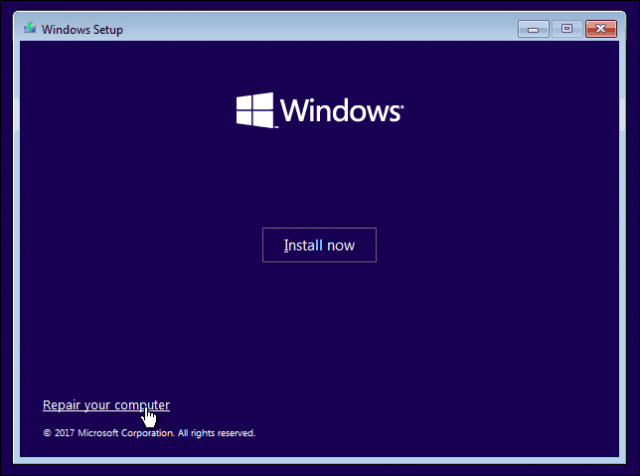 You will need to connect the target hard disk or SSD to your computer where you would like to clone your Windows 10 installation. This can be done multiple ways, you can install the storage device as a local disk; or install it in a USB external enclosure, then attach to your computer. After settling on a method of attaching the target disk, launch EaseUs Todo Backup, click the Clone tab. Choose your source disk containing the operating system. As you can see below, I have two sets of disk attached: my Windows 10 installation on hard disk 0 31 GB and my new LOCALNEW disk 25 GB where the clone will be copied. Click Next. The next step is to select the target disk, in this case, our LOCALNEW disk 25 GB drive. Click the checkbox then click Next. The following screenshot shows the disk layout after cloning the old drive to the new. Click Proceed to begin the clone. This process can take some time depending on the size of the clone and the amount of data. After the clone is complete, click Finish, shut down your computer, remove the old storage device, install and configure the new hard disk or SSD as your boot drive. Turn on your computer, Windows 10 should start as it previously did, but if you experience problems with activation, you can use the Activation Troubleshooter in Windows 10 Anniversary Update or later to resolve any problems. This is definitely an involved task and users considering upgrading their storage device should think carefully about the migration method they plan on using. My personal lesson, if you are moving to a storage device that’s larger than the one you are replacing, the built-in System Image tool in Windows 10 is more than sufficient. 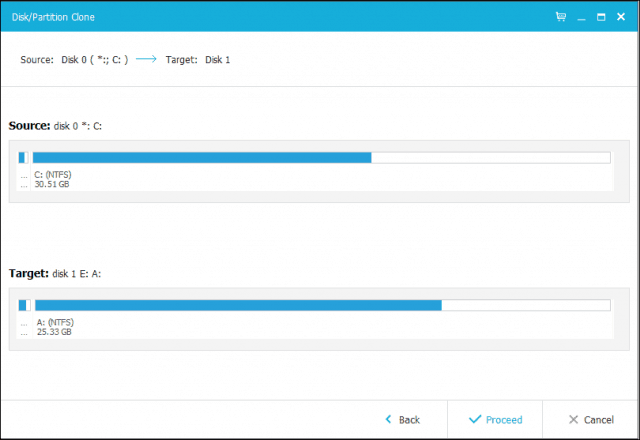 If you are moving to a smaller hard disk or SSD storage, then you will need a third-party utility such as EaseUs Todo Backup to help you. It goes without saying, additional tools to facilitate the restoration might be needed, such as an external hard disk or even an external enclosure. Sounds like an exciting adventure ahead Dennis. Please keep us updated with your progress. Hey Dennis – Very smart move. I can confirm what your son is telling you. A lot of people don’t realize the performance bottleneck for many if not most computers is a slow hard drive. Sure, it might be a 1TB drive, but if it’s spinning at just 5400 RPM, your system is going to be dog slow. I’ve taken a 6 year old desktop PC, dropped a new SSD drive in it and boom – it felt like a brand new, modern desktop. Still using it in fact (it’s about 7 years old now). So yes – go SSD 100% for your system drive. You will love it. Andre, I’m assuming that the new cloned drive has to go back into the computer/laptop which is being cloned. Hence, can you insert this new cloned drive into a different computer with different specs, and will Microsoft accept the license key? Asking this just out of curiosity! Yes, you can insert the cloned drive into the computer and it will automatically boot. Windows 10 actually has great hardware detection, so, yes, you could connect it to another computer then boot. But, you likely will need to reactivate it using the product key. If its an OEM license, you won’t be able to transfer it. I just bought a Dell with a 1TB regular HD and a 256GB SSD. For some reason, they installed Windows 10 on the regular drive rather than the SSD. If I clone W10 to the SSD, it will still be on the regular HD. How do I get the system to look to the SSD to boot. Is this a simple bios setting?